When disaster strikes, Mikuni and the community respond. In the past, we have worked hand in hand with the people of the Sacramento region to offer humanitarian aid to areas in need, and Texas is no exception. Between now and Labor Day, we will donate 100 percent of the sales of the Mikuni Rescue Roll to assist those who have been displaced by the devastation of Hurricane Harvey. 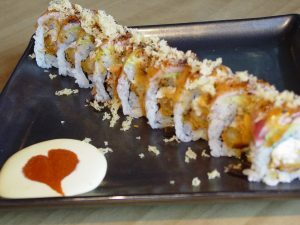 Please join our efforts by visiting a Mikuni location near you. Your concern and compassion can make a significant difference.